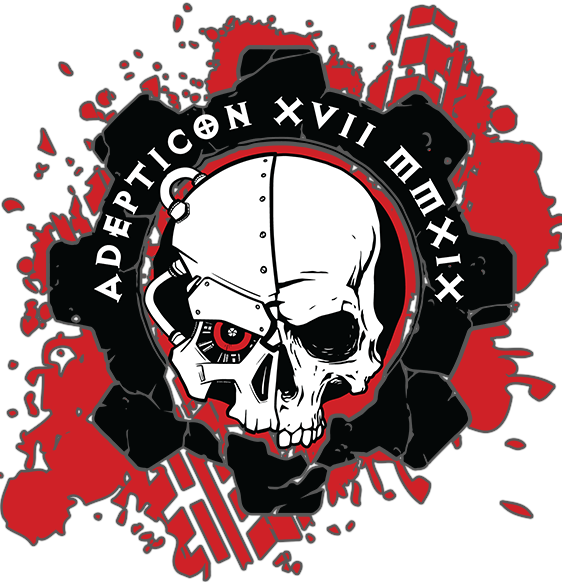 ADEPTICON 2019 REGISTRATION OPENS NOVEMBER 18TH AT 1:00PM CT.
All AdeptiCon attendees will be able to pick up their badge and event tickets at the AdeptiCon registration table starting Wednesday, March 27th at 7:00 pm or any of the following days beginning at 7:00 am. Weekend Badges and event tickets for open events can be purchased on site starting Thursday, March 27th at 7:00 am. AdeptiCon 2019 will take place on March 27th through the 31st at the Renaissance Schaumburg Convention Center Hotel in Schaumburg, IL. All the registration details can be found right here! AdeptiCon has grown consistently over the past sixteen years, from the humble 110 person event in 2002, to the amazing 4,500 attendees AdeptiCon hosted in 2018. Over these fifteen years, AdeptiCon has been held at five different venues. We have expanded from a handful of events to well over 450 tournaments, event games, and hobby seminars covering all aspects of the miniature war gaming hobby. Despite the continued growth and necessary expansion, we have made every effort to keep consistent focus on one major priority: to present to our attendees the highest quality wargaming event possible. This will remain our priority for 2019 and beyond. Note: There is no Track registration for AdeptiCon 2019.